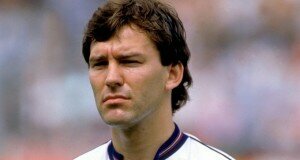 Sansom was born in Camberwell, London in 1958 and began his football career playing for Crystal Palace’s youth team. Whilst still only 16 years old, he played his debut match for the seniors, signing a professional contract with Crystal Palace which was to last until 1980. In the summer transfer window of 1980, Sansom moved to Arsenal after they put in a bid worth £1 million. On 16th August that year he played his debut match for his new team and remained with them for eight years, playing consistently as a first team player and earning the Player of the Year Award in 1981. Life after Arsenal revolved around a series of uneventful signings for Newcastle United, Queens Park Rangers, Coventry City, Everton and Brentford, with his final signing going to Watford, from where he retired in 1994. At international level, Sansom was called up to the England squad for his debut match against Wales in May 1979. He became a regular player for the team, featuring in the 1982 World Cup held in Spain as well as the following World Cup in Mexico. His last international appearance came in the 1988 European Championships against the USSR in June of that year. 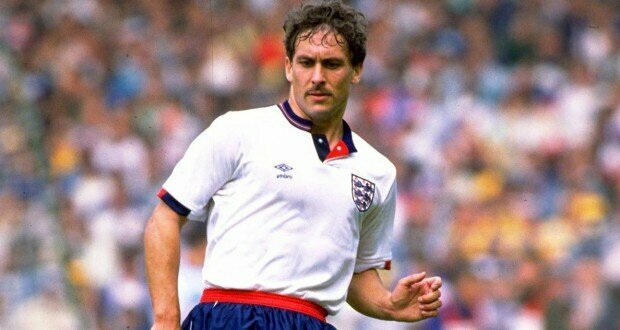 After the European’s had ended he was replaced as the first choice left back and despite a call-up in 1989, he never actually played for England again. After football, Sansom struggled with alcoholism and gambling but found a career in radio presentation co-hosting the LBC Radio’s Saturday afternoon football programme. He also works as a tour guide on the Legends Tour at the new Emirates Stadium in London. Sport. Football. pic: 4th April 1988. Division 1. Kenny Sansom, Arsenal full back 1980-1989. Kenny Sansom also won 86 England international caps between 1979-1988. Summary : Kenny Sansom is one of England's top 20 players in terms of caps, was never booked, and even managed to score a goal during his 9 years as an England player.